In ripple carry adders, for each adder block, the two bits that are to be added are available instantly. However, each adder block waits for the carry to arrive from its previous block. So, it is not possible to generate the sum and carry of any block until the input carry is known. The block waits for the block to produce its carry. So there will be a considerable time delay which is carry propagation delay. 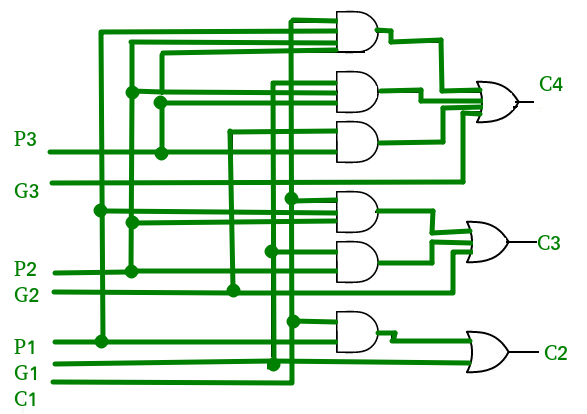 Consider the above 4-bit ripple carry adder. The sum is produced by the corresponding full adder as soon as the input signals are applied to it. But the carry input is not available on its final steady state value until carry is available at its steady state value. Similarly depends on and on . Therefore, though the carry must propagate to all the stages in order that output and carry settle their final steady-state value. The propagation time is equal to the propagation delay of each adder block, multiplied by the number of adder blocks in the circuit. For example, if each full adder stage has a propagation delay of 20 nanoseconds, then will reach its final correct value after 60 (20 × 3) nanoseconds. The situation gets worse, if we extend the number of stages for adding more number of bits. A carry look-ahead adder reduces the propagation delay by introducing more complex hardware. In this design, the ripple carry design is suitably transformed such that the carry logic over fixed groups of bits of the adder is reduced to two-level logic. Let us discuss the design in detail. where produces the carry when both , are 1 regardless of the input carry. 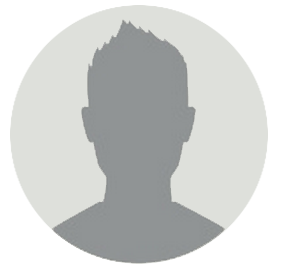 is associated with the propagation of carry from to . From the above Boolean equations we can observe that does not have to wait for and to propagate but actually is propagated at the same time as and . Since the Boolean expression for each carry output is the sum of products so these can be implemented with one level of AND gates followed by an OR gate. 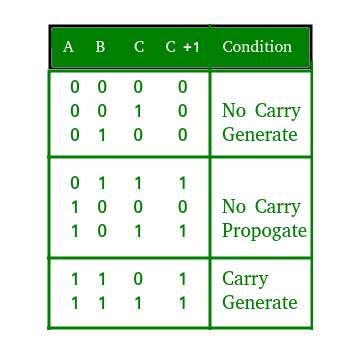 The implementation of three Boolean functions for each carry output ( , and ) for a carry look-ahead carry generator shown in below figure. The part that computes the carry for each bit. The part that adds the input bits and the carry for each bit position. The complexity arises from the part that generates the carry, not the circuit that adds the bits. Now, for the generation of the carry bit, we need to perform a AND between (n+1) inputs. The complexity of the adder comes down to how we perform this AND operation. If we have AND gates, each with a fan-in (number of inputs accepted) of k, then we can find the AND of all the bits in time. This is represented in asymptotic notation as . The propagation delay is reduced. It provides the fastest addition logic. 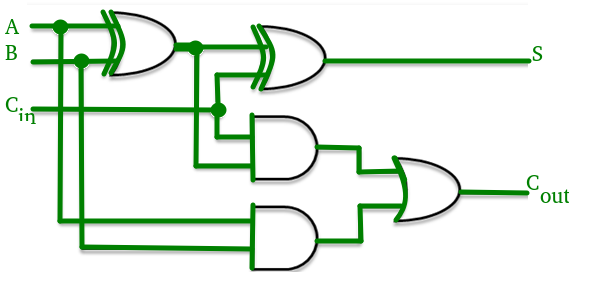 The Carry Look-ahead adder circuit gets complicated as the number of variables increase. 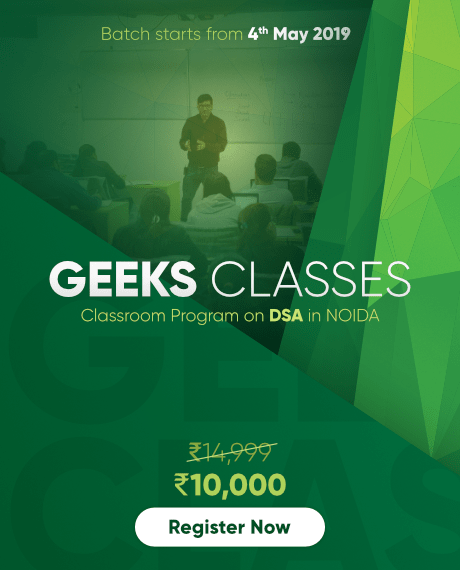 The circuit is costlier as it involves more number of hardware.